Before her passing, Justine Witlox-Beker was excited about the idea of creating a Water Wheel at Frenchy’s Field. 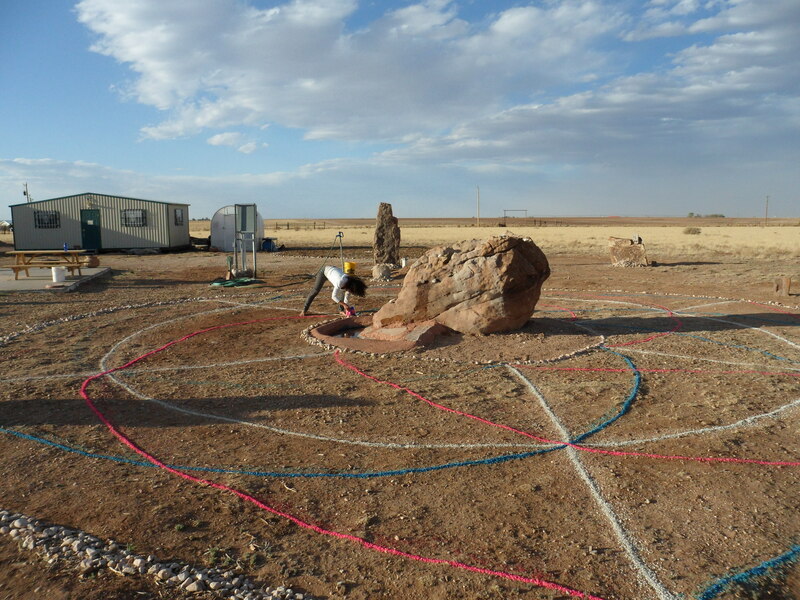 To honor her work with the prairie dogs at the park, we created a Water Wheel as part of the “Rivers Run Through Us” event (May 15th-19th) 2013. 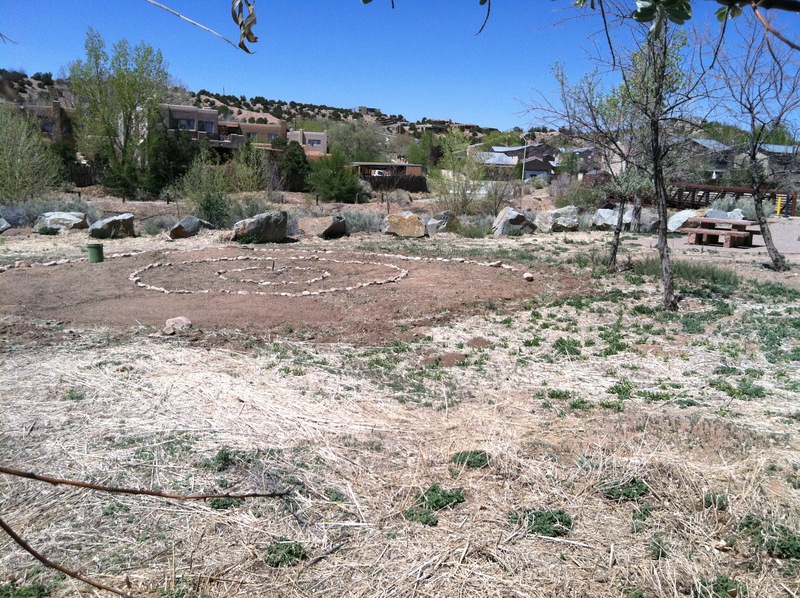 The Water Wheel Ceremony was held on Saturday, May 18th at 4:00 PM beside the Santa Fe River, West (left) of the Bridge. Call Raphael (575) 770-1228 email: HealingTheScars@Gmail.com or J. (340) 474 9001 email: j.lynchiii@Gmail.com to help or donate. We need colored aquarium rock and welcome help maintaining the wheel. In the words of Marshall, Golden Eagle Jack, “A Water Wheel is …a sacred geometry design based on a Native American medicine wheel. Its purpose is to energize, celebrate, and honor water. It is also a place to deepen our relationship with the spirit of water.” Marshall is a member of the Washoe Tribe of California and Nevada, affiliated with the Southern Paiute and Central Miwok Tribes. As a child he was initiated into the work of protecting the Waters. In New Mexico, he developed the form of the Water Wheel and received the vision of 172,000 Water Wheels. We came together to honor Justine and her efforts on behalf of the Prairie Dogs and also to learn of the efforts to continue her work by the People for Native Ecosystems, the Sierra Club and the Santa Fe Parks Department. Justine will be pleased to know that her concerns are being honored and her work continued. We will bring together waters from many places, traditions and sacred sites; water that has been blessed, water from individual homes and wells and water collected from streams, rivers, lakes and oceans. 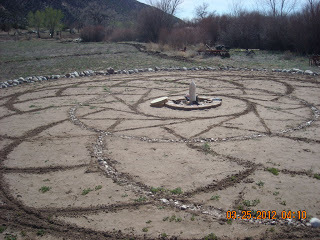 We will plant and water a tree that is being donated by the Parks Department in the center of the wheel with the altar around it for our water offerings, crystals and sacred objects that we wish to energize, dedicate and share. Our intention is to bless the river, to honor and respect all the waters and call forth the precipitation we need so badly, so that the river flows once again. We seek to restore our relationship with the waters and pray for wise stewardship and balance in water management. We honor the different traditions in our respect for Water and the balance of the Sacred Feminine and Masculine, represented by the different kinds of lines in the Water Wheel design. We welcome contributions for materials needed in the construction of the Water Wheel and volunteers to come help with the work. Donations can be made out to Raphael Weisman (memo: water wheel) PO Box 23813, Santa Fe NM 87502. Healing The Scars is a New Mexico non-profit organization operating under a fiscal umbrella with a 501 ( c ) 3 tax exempt status. If you need a tax deduction for your donation, please contact us for more information.